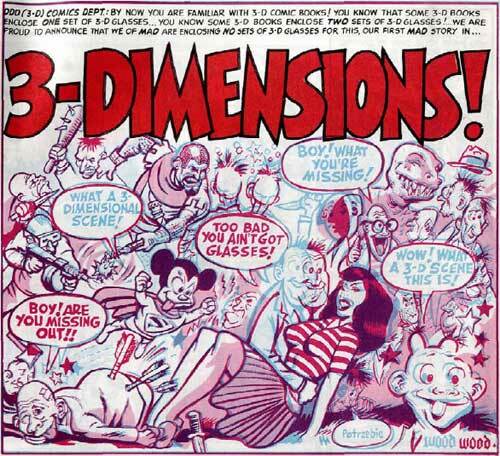 DDD (3D) COMICS DEPT: By now you are familiar with 3-D Comic Books! You Know that some 3-D books enclose One set of 3-D glasses… You know some 3-D Books enclose Two sets of 3-D glasses! We are proud to announce that we of Mad are enclosing No sets of 3-D glasses for this, our first Mad story in… 3-DIMENSIONS!